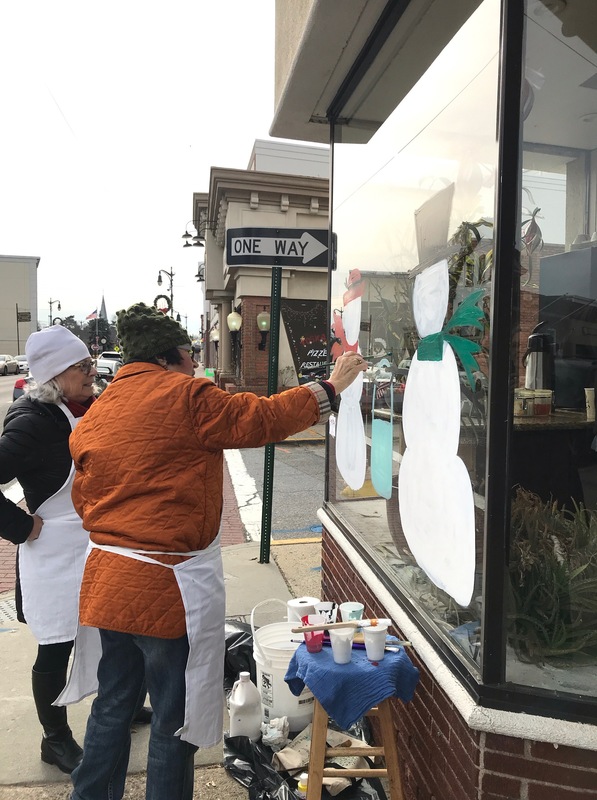 On December 9 Westbury Arts in cooperation with the Westbury BID decorated store windows on Post Avenue in Westbury. 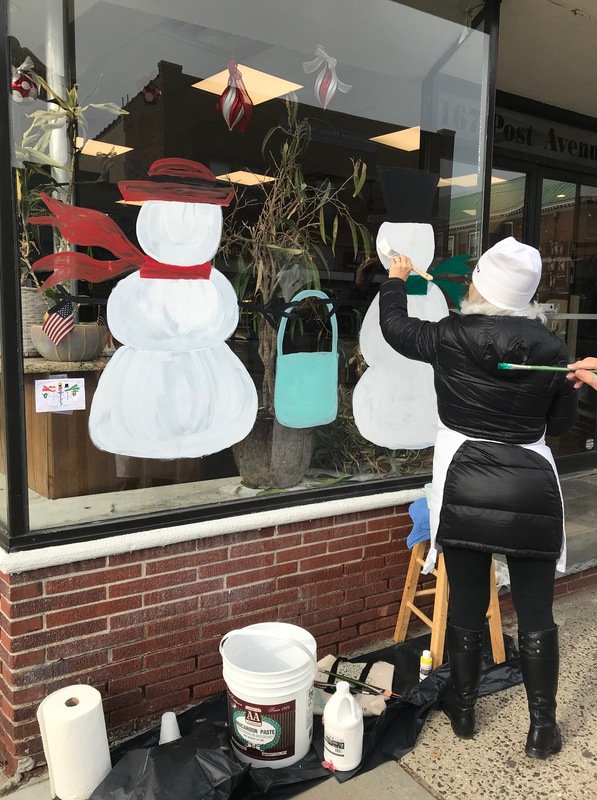 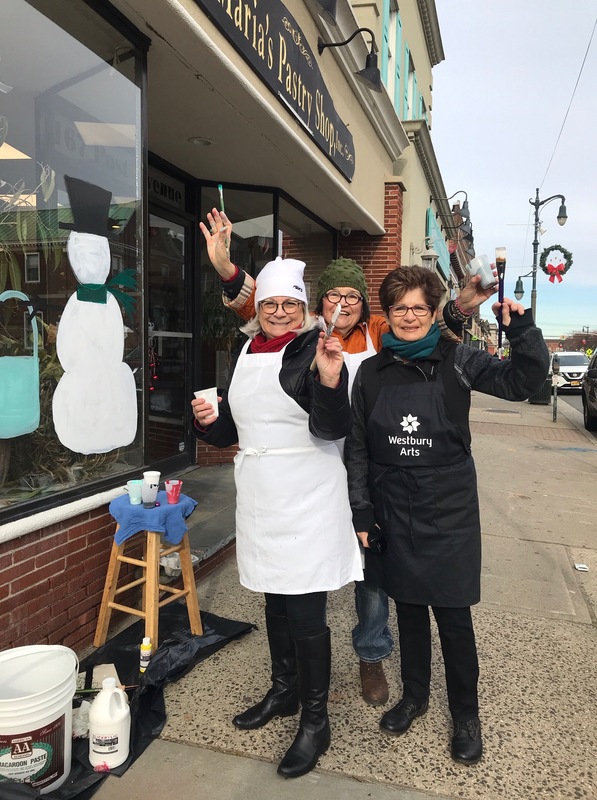 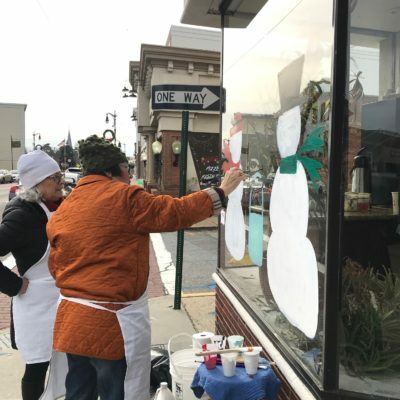 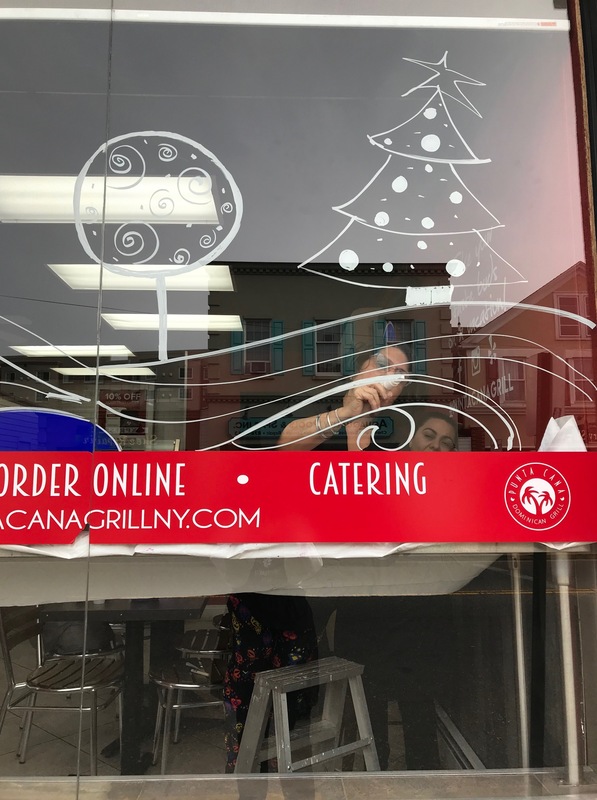 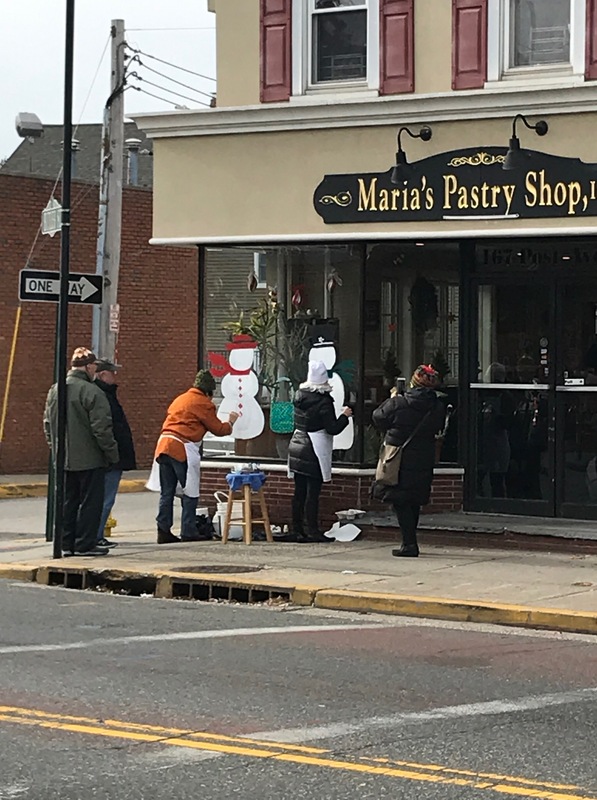 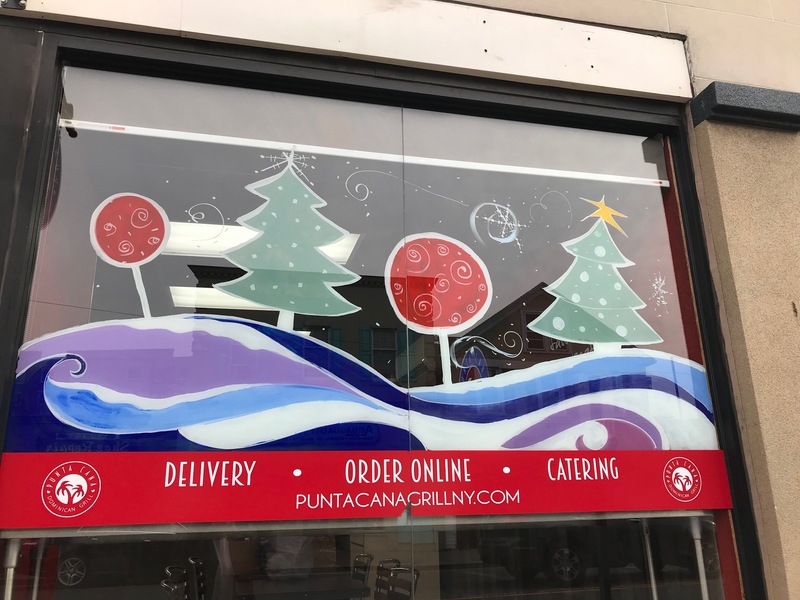 Jackie Pardo, Connie Locascio and Leslie Fogarty painted a snowman scene on the windows of Maria’s Pastry Shop and Patty Eljaiek, Angelica Medina and Julie Lyon painted the windows across the street at Punta Cana. 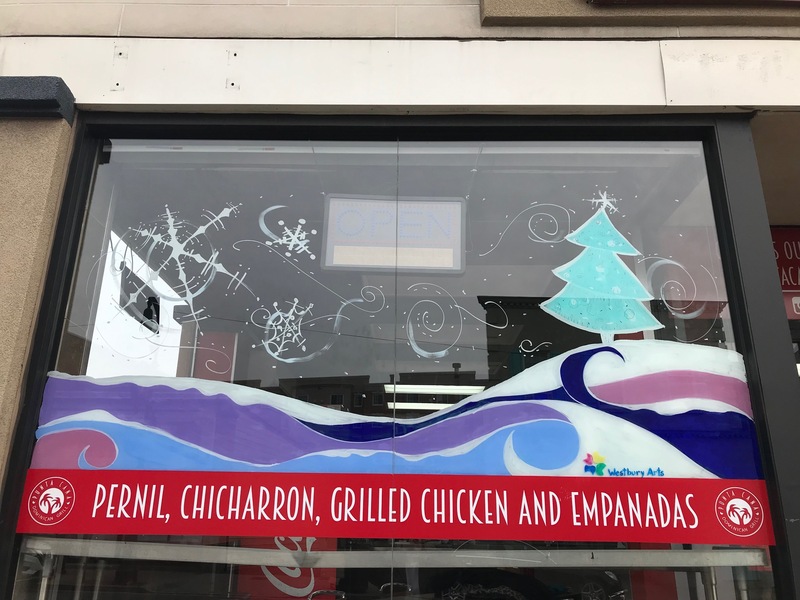 Artist Patty Eljaiek also painting the windows at Botanica La Luz and Rosita Mini Grocery. 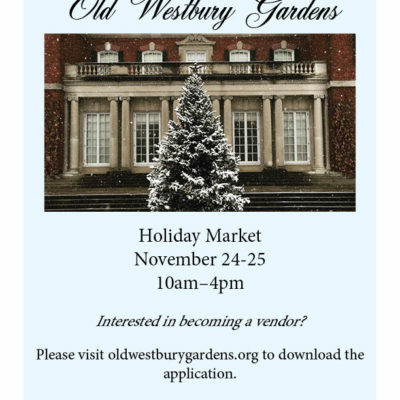 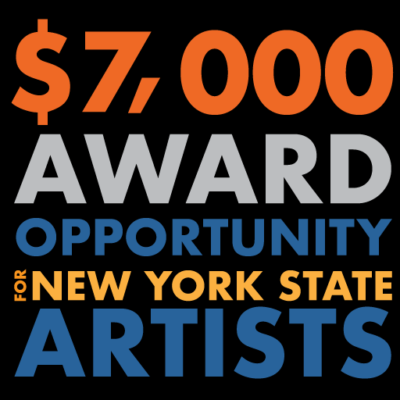 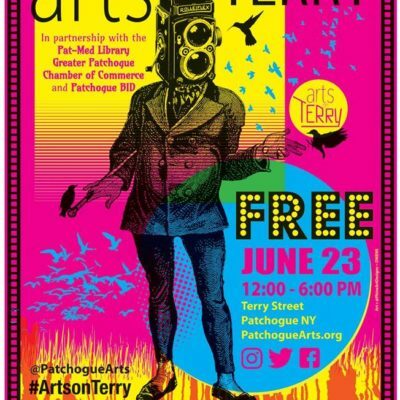 Julie and her husband Tom Cabrera (also a founding member) have been with Westbury Arts since its inception. 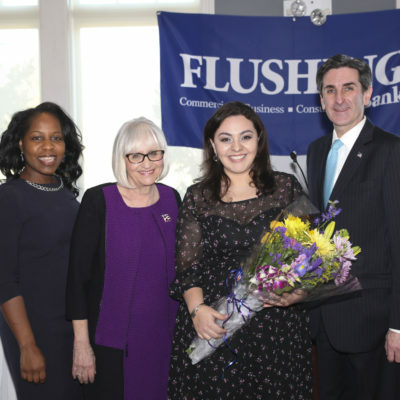 She started as a board member and then Recording Secretary before being elected President in 2015. 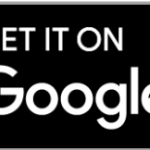 Born in Milwaukee, WI and raised in central Florida, Julie has a bachelor’s degree in vocal performance from The University of Central Florida and currently leads a jazz quintet and records on the Unseen Rain Records label. 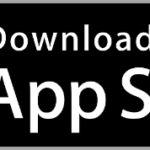 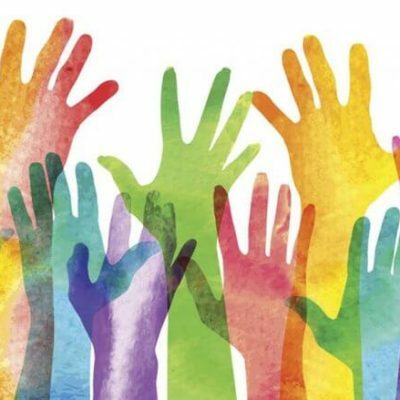 Her background includes purchasing, 15 years in IT as an A+ Certified technician and more recently HR, payroll, and bookkeeping.